How does your garden grow. 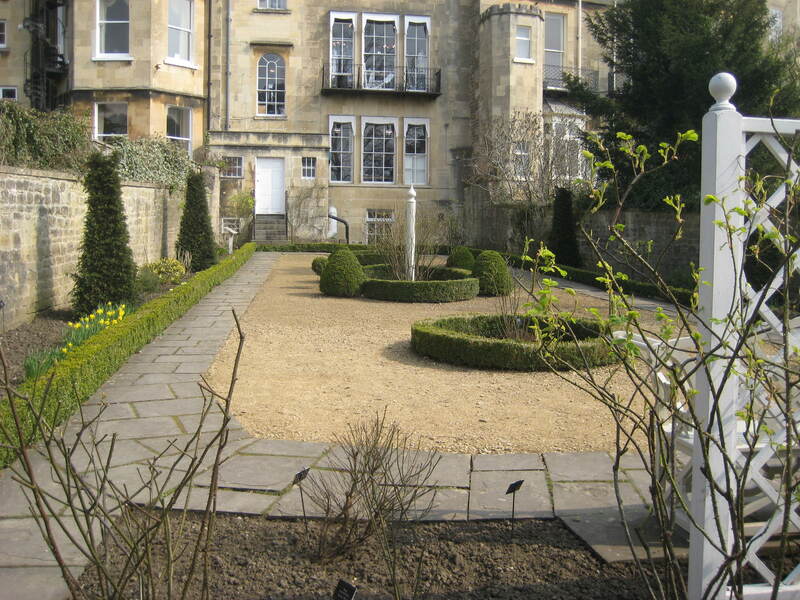 Have to say the weather is much improved today – Wednesday – and it was helping everyone see Bath in a new light! 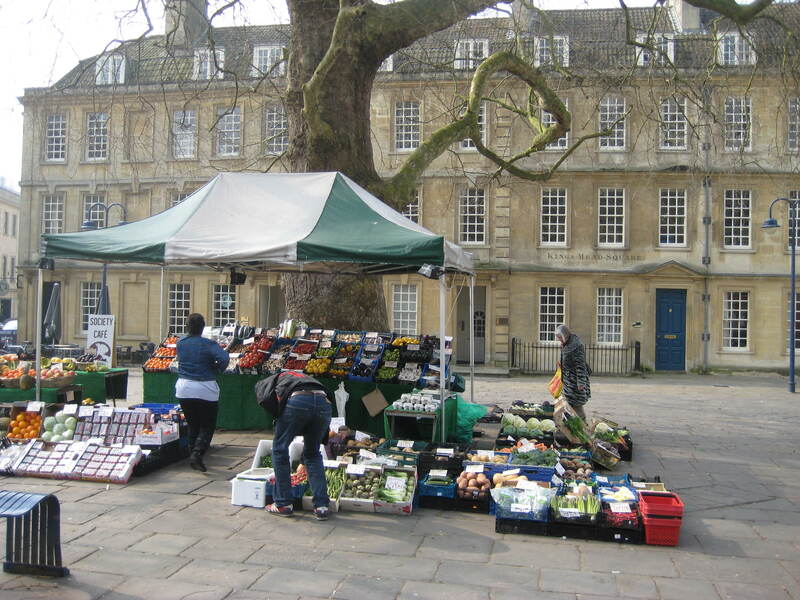 Kingsmead Square looking wonderful – this morning – with its central display of colourful fruit and veg. 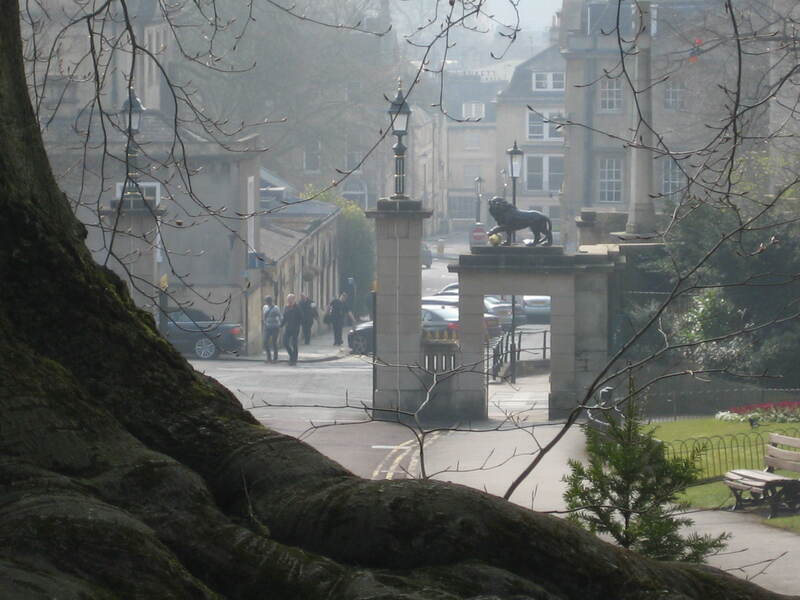 While there was a real misty wistfulness to the view from the gravel path leading up to Royal Crescent towards the lions on top of one of the entrances to Royal Victoria Park. Further up the path the Georgian Garden at number 4 The Circus is open and free for everyone to have a look around. With an improvement in the weather promised soon it offers a rare free treat! Can anyone tell me what the carved X in the wall of one of the gardens to Gay Street means? Have to say it is worrying the number of kerb stones being damaged around the city. Am seeing sites like this everywhere. Looks like heavy vehicles are parking on the edges of the pavement and uprooting the stones.